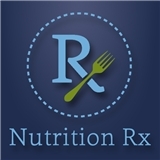 Nutrition Rx (Brookline) - Book Appointment Online! Are you struggling with your relationship with Eating? Food? Your Body? Are you gaining weight and simply can't stop it or manage it? That's right. Relationship. Just as you have a relationship with yourself and others, you have one with food and eating. And much like the relationship you may have with a friend, spouse or parent, when it is a difficult or dysfunctional one, there is usually a reason--and a Solution. The clinicians at NutritionRx™, will help you find solutions to the challenges of: Anorexia, Bulimia, Compulsive Eating, Night Eating Syndrome, Diabetes(type2), Menopause, Food Sensitivities (Gluten and Lactose intolerance)and Weight Gain/Obesity in Kids, Men, Women and Teens. This group of Registered Dietitians offer evidenced based Medical Nutritional Therapy that gives you compassionate understanding and effective treatment and results. Words cannot begin to describe the extraordinary Alexis Beck. I would go as far as to say that Alexis has had one of the most (if not the most) profoundly amazing impacts on my life. She is hard-working, fiercely loyal, loving, intelligent with a compassionately unique approach to therapy and nutrition. When I first met Alexis, I was headed down a pretty dark, potentially dangerous path. But in a mere two months, Alexis turned my entire life around. She saved me. Working with Alexis has been an incredible gift and pleasure. She is a force of happiness, health, and good in my life. Her innate ability to understand people and approach to therapy is unlike anyone else. I whole-heartedly recommend Alexis. She is amazing.